Home Deep Learning Top 5 Interesting Applications of GANs for Every Machine Learning Enthusiast! The term ‘GAN’ was introduced by the Ian Goodfellow in 2014 but the concept has been around since as far back as 1990 (pioneered by Jürgen Schmidhuber). But it was only after Goodfellow’s paper on the subject that they gained popularity in the community. And since then, there’s been no looking back for GANs! In this article, we will look at five intriguing applications of GANs that are prevalent in the industry. You might even have come across a few of them without realizing how they worked. I have also provided links to research papers for each GAN application which I encourage you to check out. Strap in – this is going to be fun! Right, we have a sense of what GANs can do. But how do they work? What goes on underneath all the wonderful applications this powerful algorithm produces? Let’s understand this using a popular example. There’s a forger (who creates fake artistry) and an investigator tasked with detecting these fake artworks. The task of this forger is to create fraudulent imitations of original paintings by famous artists (like Leonardo Da Vinci). If he/she can pass off this work as the original art piece, the forger can potentially net a lot of money. On the other side of this situation, the art investigator’s task is to catch these forgers. How does he/she do it? The investigator knows what are the properties which set the original artist apart and what kind of painting he/she would have created. The investigator leverages this knowledge against the piece at hand to check if it is real or not. This contest of forger vs investigator goes on, which ultimately makes world-class investigators (and unfortunately world-class forgers); a battle between good and evil. Now, consider both forger and investigator as robots. 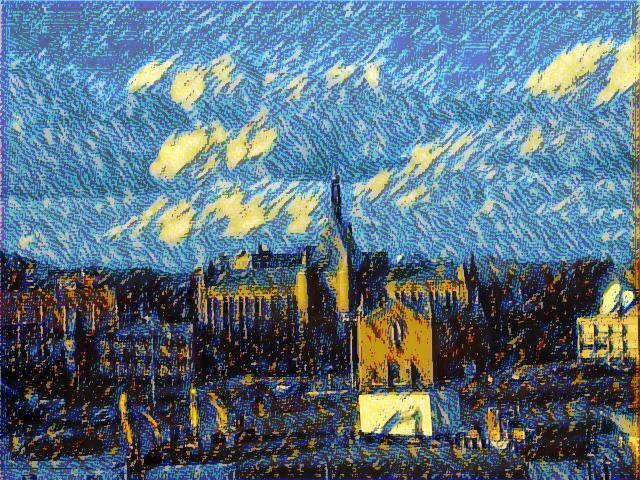 When you train the forger to be a painter and the investigator to tell a fake painting from the real one – you now have an algorithmic painter at hand! That’s essentially how GANs work on the inside. Awesome, aren’t they? 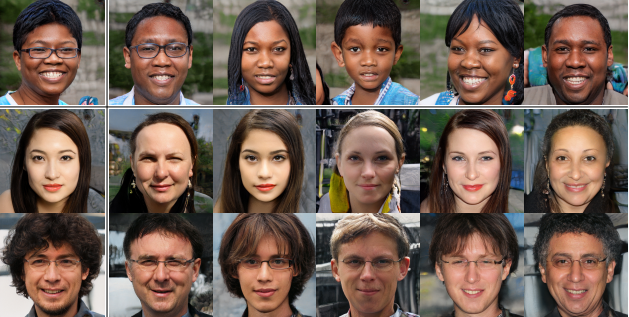 An introductory guide to Generative Adversarial Networks (GANs) and their promise! Now that we have an intuition of how GANs work, let’s put on our exploration hats! It’s time to dive into the interesting applications of GANs that are commonly used in the industry right now. Most image editing software these days don’t give us much flexibility to make creative changes in pictures. For example, let’s say you want to change the appearance of a 90-year-old person by changing his/her hairstyle. This can’t be done by the current image editing tools out there. But guess what? Using GANs, we can reconstruct images and attempt to change the appearance drastically. This amazing paper demonstrates this very cutting edge application. The rise of artificial intelligence has been wonderful for most industries. But there’s a real concern that has shadowed the entire AI revolution – cyber threats. Even deep neural networks are susceptible to being hacked. A constant concern of industrial applications is that they should be robust to cyber attacks. There’s a lot of confidential information on the line! GANs are proving to be of immense help here, directly addressing the concern of “adversarial attacks”. These adversarial attacks use a variety of techniques to fool deep learning architectures. GANs are used to make existing deep learning models more robust to these techniques. How? By creating more such fake examples and training the model to identify them. Pretty clever stuff. A technique called SSGAN is used to do steganalysis of images and detect harmful encodings which shouldn’t have been there. Who among us wouldn’t love to collect more data for building our deep learning model? The availability of data in certain domains is a necessity, especially in domains where training data is needed to model supervideepeeop learning algorithms. The healthcare industry comes to mind here. For instance, this paper explores the creation of synthetic data with the help of GANs for training deep learning algorithms by creating realistic eye images. When we see an image, we tend to focus on a particular part (rather than the entire image as a whole). This is called attention and is an important human trait. Knowing where a person would look beforehand would certainly be a useful feature for businesses, as they can optimize and position their products better. For example, game designers can focus on a particular portion of the game to enhance the features and make it more engrossing. 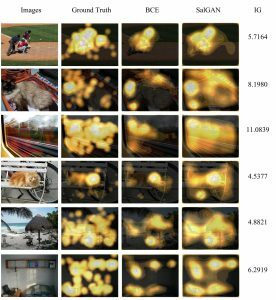 This enthralling idea is explored in this paper, where the authors try to identify the most appealing parts of given images using GANs. It won’t surprise you to know GANs are quite popular in the gaming industry. Game designers work countless hours recreating 3D avatars and backgrounds to give them a realistic feel. And let me assure you, it certainly takes a lot of effort to create 3D models by imagination. Does this seem unrealistic? Then I suggest you watch this video. You might believe the incredible power of GANs, wherein they can be used to automate the entire process! Here is an open source implementation of the same. Go ahead and try it out if you find the idea interesting! There are a plethora of applications of GANs regularly published in research. I’m sure many more will follow soon. I hope the above applications encouraged you to think of more such ideas – perhaps you could come up with your own GAN! If you have any ideas or suggestions, do comment below.